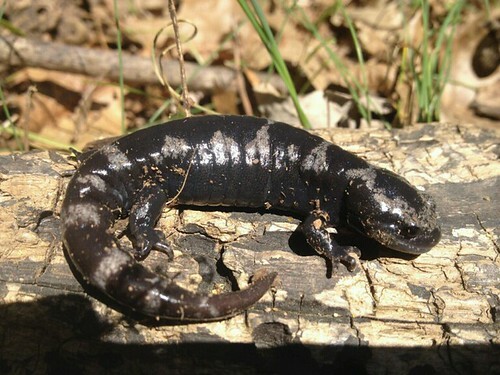 Above Marbled Salamander found by Mike during a an early morning walk along a wetland area within a Regional Park. 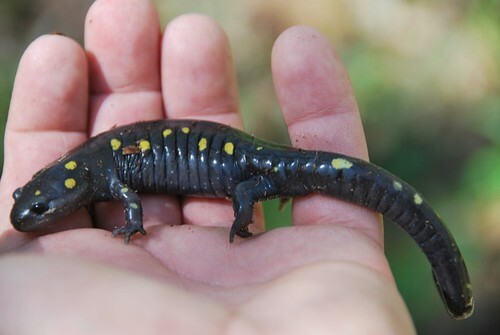 Also found were a spotted salamander (below) in the same vacinity. Both species belong to a group of salamanders known as mole salamanders simply because they burrow after their done with their breeding season. The two often utilize the same vernal pools but breed at different times of the year and lay their eggs differently. Spots breed in late winter or early spring and lay their eggs in water. Marbled breed earlier on usually in the Fall and their eggs are laid in depressions on land near water where the eggs can be washed into vernal pools with the later fall of early winter rains. 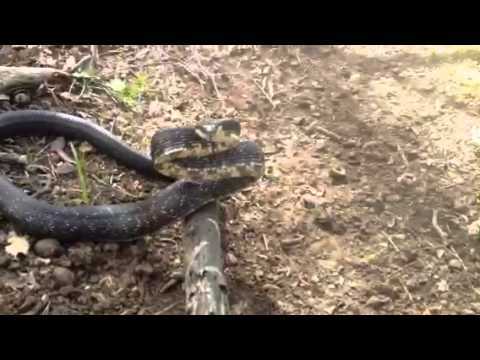 Mike’s trail takes us to Pennsylvania where he discovers a couple of new animals for the species list and as an additional bonus some interesting snake courtship and mating behavior. 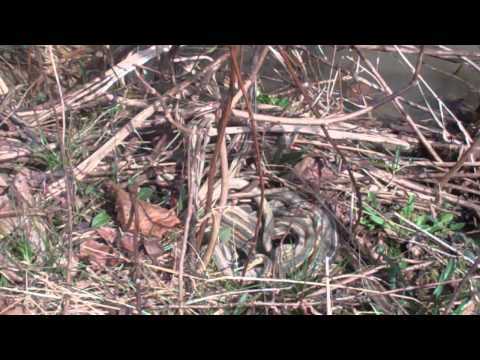 Shown in this video are multiple male garter snakes trying to court and mate with a single female. Nothing unusual about this behavior in the snake world but to someone who is either weary of snakes could be quite an unexpected shock if theywere to stumble upon such an event. While visiting Boyce Mayview Park (outside of Pittsburgh, PA), I found my first Northern Ravine Salamander (Plethodon, electromorphus). It was found on a steep wooded hillside under a flat rock. 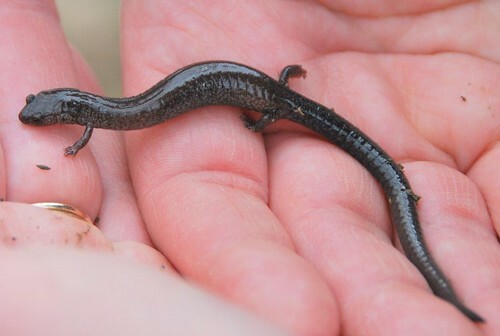 Also found nearby were Redback and Spotted Salamanders. Picture of American Redstart and Black Bear. densities of bears in the country.